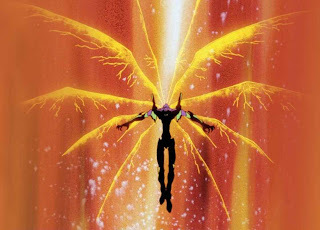 Following a little procrastination, we finally managed to finish watching the last two DVDs in the Neon Genesis Evangelion saga. Naturally we saw Death and Rebirth first, which really was nothing new. It essentially condenses the last four episodes of the series, presents them in a re-cut/re-edited fashion, with a very small number of new cells added here and there. And when I say I very small number, I mean you can count them on one hand. My recommendation is to probably just watch the "director's cut" version of the full episodes, included on the last DVD in the Platinum Thinpack. Although at this point, such recommendations are really superfluous on account of most people having already watched Evangelion years ago. So I guess this may be for the benefit of that one person I know is out there who hasn't seen it yet, just as I hadn't until recently. In either case, Death and Rebirth serves well as a refresher, and that's what I think its purpose really was on account of its release a few years after the initial series. 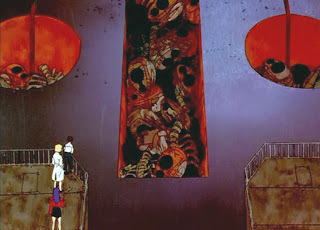 The real meat, however, is to be found entirely in The End of Evangelion. It presents the final events of the story in a dramatically different way, and a more mature way than any previous episodes. The characters seem much more vibrant, and the writing is significantly stronger. This makes for a rather new Evangelion experience. The ending itself creates a more tangible resolution, though satisfaction is still ever-so-slightly out of reach in an Arthur C. Clarke kind of way. So no, I'm not providing any spoilers here. Again, mostly because many people already know what happens. 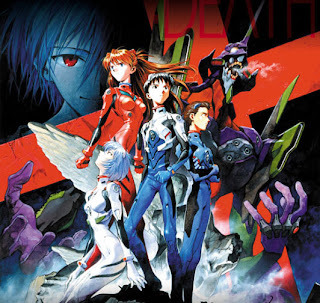 Ultimately, though Neon Genesis Evangelion is one of the best anime I have ever seen, its influence and effect on anime history being undeniable, it did not sway me from my position about Serial Experiments: Lain. 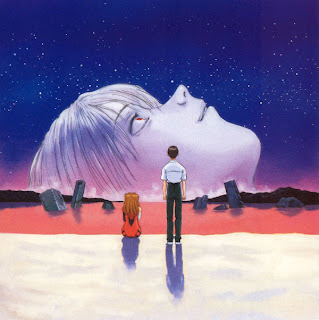 Where Evangelion is an over-the-top tour de force, Lain is a subtle Chopin piano piece suffused with enough sadness to parallel that of Evangelion. Both anime series are excellent, and different enough to stand on their own, which does not make me view them as being in competition with one another.